In most of the cases you will need to turn it ON, so…always check this option before apply the constraint! By default you have ALL the axes turned ON but you can turn off the ones you don’t need! 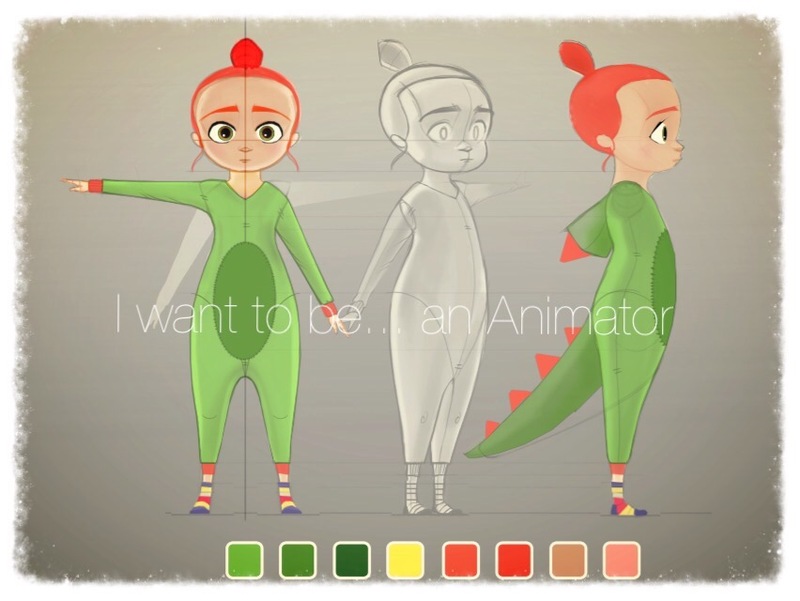 This are some common situations and it’s important that, before you go to start the animation and create the constraints, you have to plan the shot! Do it in your mind or with some sketches, because is important to decide how to do the constraint and you need to anticipate all the actions you will do with the constrained object! In some rigs you could have the possibility to choose if the hands must follow the hip or other parts of the body (the Main control, the COG, the Head…) without manually create a constraint! Usually if this option is available, you can find it selecting the wrist control! But in case you have a very basic rig, without this option, let’s see how to manage it! IMPORTANT: when we constrain the hands, this must be in IK mode, so switch both the hands in IK! REMEMBER THAT: to apply the constraint you always have to select the target control first, the one that will leads the movement and then the control or object you want to constrain! we choose parent ’cause we want that the hands follow the hip in both translation and rotation axes! Open the Option Panel, be sure to have the MAINTAIN OFFSET turned ON and apply it! So the translation and rotation axes turned blue in the channel box and now this hand is constrained to the hip, let’s do the same on the other one! At one point he detaches the hands from the hip so we need to turn OFF the constraints in order to animate the hands! in the following frame where you want to turn OFF the constraint set it at 0 and add another key, so from this point you can animate the hands! In this case you do the same, you constrain the hand on the shoulder control, so select the shoulder ctrl first, then the wrist ctrl and apply a Parent constraint (Maintaining the Offset)! Then you animate the blend parent before he touches him, turning the constraint OFF and when he touches the shoulder you set it at 1 turn it ON! First pose the two hands, then choose the leading hand (this hand can be in IK or FK) and constrain the other hand to this one (the constrained hand must be in IK) and choose a Parent constraint! Let’s say your character need to grab an object, like this ball, he takes it with an hand (in this case you can us IK or FK) and then he throws it! In this simple case, you could just constrain the ball geometry, it’s not necessary to have a locator or a rig for the ball, ’cause the animation is pretty easy. But if you have to do more complex actions with the ball I suggest you to use a locator or a rigged ball so that you could also have a squash and stretch! in the previous frame set it at 0, so the ball stays in the starting position! When you need to detached the ball from the hand, go on the last frame where the ball must be constrained to the hand and set at 1 the blend parent, in the following frame set it at 0 and animate the ball! SECOND OPTION: To have more control and have the possibility to add a secondary movements on the ball, you can create a group for the ball so that you can constrain the group to the hand and animate the ball geometry indipendently! Open the OUTLINER, select the ball geometry and press G, so you go to create a group and you go to constrain this group to the hand, so select the hand ctrl then the group of the ball and apply a Parent constraint mantaining the offset! So now the ball follows the hand but you can select the ball geometry (that has no constraint and is free to move) to add further movements! When you want to turn ON and OFF the constraint just do as we have seen so far! If you create a group from the bottle geometry and you go to constrain the group to the hand, you can still select the bottle geometry to add some overlap! In this case I also need to move the pivot of the bottle geometry, that now is in the center and I wanted to move it on the top, where the hand grabs it! So to edit the pivot position just select the mesh and pressing D you move it where you want! Now the bottle is driven by the hand (cause the bottle group is constrained) but we can animate the geometry to add an overlap! If you have a rig on your prop, you can do the same: create a group that you will constrain to the hand and then you animate the prop control for the overlap! For example: a character on a swing, obviously this is not a common thing you’ll have to animate, but it’s just to give you an example of situation where your character is driven by something! You pose your character on the seat, both the arms are in IK, the legs must be in FK, and you constrain the COG of the character to the seat, so that when you move the swing the body follows the movements, except for the hands that are in IK! So now we need to constrain the hands to the swing’s ropes, to do that we need to create 2 locators! Then, select one rope -> shift -> the first locator and create a Parent constraint, and do the same for the other locator! Or, another way is to just PARENT the locators to the ropes, so we don’t create a constraint but we create a permant relashionship parent/child between the rope (parent) and the locator (child), to do that: select the locator -> shift -> the rope and press P, and do the same with the other locator and rope! In this case the result is the same, so you can choose one of this two options and in both the cases the locators will follow the ropes movements! The only difference would be if you need to change position of the hands on the rope during the animation, in this case is better to choose to just PARENT the locators to the rope, so that you can use the locators (the are not constrained) to animate the hands! So now the 2 locators follow the swing movements, but we still need to constrained the hands, so we select one locator then the hand control and create a parent constraint and do the same for the other hand! Now we need to position the locators where we have the hands, to quickly do that we create a temporary constraint! Then we constrain the hand control to the locator, so select the locator and then the wrist control and create another parent constraint! In this way when you animate the object, that leads the movement, the hands follow but you can also add some further movements for the hands by using the locators that are free to move ’cause we just constrained the group of the locators! REMEMBER THAT: the leading hand can be in IK or FK, but the constrained hand must be in IK! Now we need to position the second locator on the other hand pivot, so we select the hand control -> then the second locator and we create a parent (or point) constrain (DESELECTING the maintain offset), so the locator moves on the wrist pivot, and now we delate this constraint! Then we select again the locator -> then the left hand control and we do parent constraint again! So now you can use the right arm to lead the movement, the object and the left arm follow, but using the left locator you can add further movements for the left hand and change position during the animation! In this case, when you plan to grab the same object with both the hands in different times, it means that the object must be constrained to one hand first and then on the other hand in a second time! Now, selecting the parent locator, the right hand locator, we position the object in the right hand (that holds the object first), and then we constraint the parent locator to the right hand control, so we select the hand control -> shift -> the locator and we create a PARENT constrain Maintaining the offset! Now we can move the arm and the object follows! and animate the Weight Value, set it at 1 or 0 to manage the influence of the constraint on the locator! So now you can pass the object from an hand to another just turning on and off the constrain on the left hand locator! Then we do as in the previous example, we animate the constraint blend parent On and OFF when we switch the hands and we constrain the right hand to the other locator… and the same when the hat is on the head, so that in the final part the hat is constrained to the head and follow the head movements! Or… select the object constrained, press F in the outliner to find the constraint node and… delate it! and now you can delate the constrain, as I showed before, without losing the animation! In my last lesson I explained the principle of FOLLOW-THROUGH AND OVERLAP (here the Lesson #09) and I also made a little tutorial “Animate a tail” and a simple exercise for beginners! Now I want to show you something more advanced: in this shot I have two characters that have parts that perfectly show this principles! So, for this shot, I started from a SKETCHED ANIMATIC – the 2D animatic is very important to study the rhythm, the story and how to represent the personality of the characters! The story of this shot is basically a “Dangerous-playtime” between this little bouncing creature and a young dragon that play with fire! I imagined that they are actually friends, so…the dragon doesn’t wants to hurt him is just that he’s too ingenious and he has no control of his dangerousness! For the dragon’s attitude I got inspired by my lovely/crazy dog. I had in mind my playtimes with her, that usually gets so excited when we play that she literally loses her control and the play-time becomes actually a “fight”! As usual I use a surface shader so I don’t have to worry about lighting and I have the 2d effects that I personally love. I start to create the main poses, this part it takes most of the time, the character is quite complex, it has a lot of controls and parts to pose, so I take my time…. When you refine an animation can happen that you just realize that you need to change a bit the timing or the spacing of your blocking! It happens, some movements result too slow after you switch from stepped to spline or vice versa, so in this cases…just move your keys to reach the better result or add more breakdowns that were not necessary in the blocking but that you need in the refine! I add the motion blur in the render, the the 2D fire effect I made and…that’s the final result! I hope you enjoy this video, show the entire process for the creation of a shot is not easy and I tried to show the most important steps for me. BUT…. I’m working on a new video tutorial/breakdowns based on a shot connected to the last lesson “Follow-through and Overlap”! I used two rigs for this shot: my Tail ball/head and Arc the Dragon by Josh Sobel! 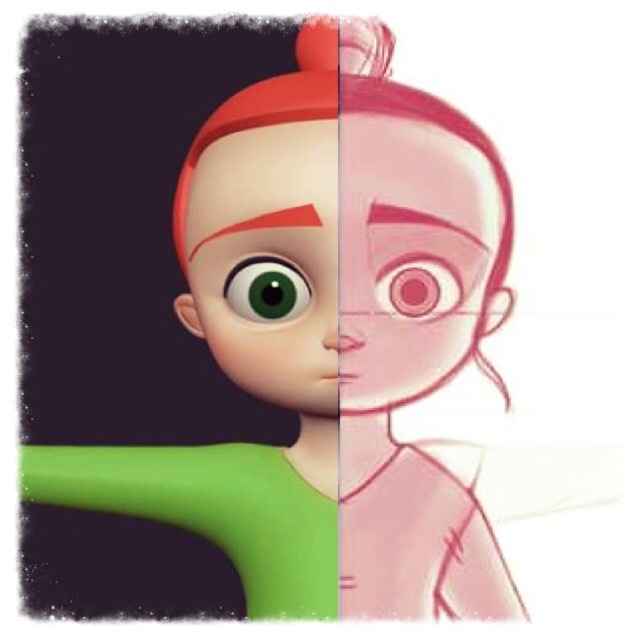 In the video I’ll show you how I concepted the shot from 2d sketches up to the refine version! Don’t care about compenetration for the moment, cause we will go to adjust the position when we will animate the rest of the tail! Avoid straight lines, except when its completely stretched like during the fall, in this cases a straight line is allowed! Keep attention to the arcs that you will create with the tail action! With this simple rules and if you well understood this principles, your final result should be something like this: So, this was a simple tutorial for a basic tail animation, with a straight ahead approach! I suggest you to start with a short and simple animation and became familiar with the concept of drag, follow-trough and overlap! The body moves and roates forward. The weight of the character is on the left foot, but the right foot in the air helps him to balance the weight and contrast the power of the throw that moved him forward. Create a nice and pretty relaxed pose for the right foot, with the toes pointing down. Practically, we go to create an anticipation of an other anticipation! Add a stretch on it, then move forward in the timeline and place the ball so that it goes out of the screen in very few frames, 3 or 4 frames, keeping the stretch! That’s it, this is my final resul! 😉 If you want to re create this throw animation you can do the Exercise #4 following the steps of this tutorial and send me your animation (adding a link in the comments) to receive a feedback ! How to make the best use of this channel! First of all, it’s not something you have to be scared of! …. “technical”, I had the feeling to lose part of my instinct and I always preferred to work directly in the viewport, like “I don’t care how my curves look like! The animation works so ….it doesn’t matter!” but…in hindsight, now that I’m used to work with it and I know how useful and important is to make beautiful animation, I would like to show you and explain the Graph Editor in the easiest way, so that you can focus on the important aspects and you don’t be too much intimidated by it! You can select each axis one by one, or select multiple axis by keeping press shift! here you can choose which part of the animation you want to bake: you can decide to bake a range of frames based on your current time slider or to chose a range typing the start and the end. select the keys and go to CURVES –> EULER FILTER! This is my personal workflow when I go to refine an animation. If I’m sure that the blocking works well, that everything is readable, that I have the right timing, appealing poses (nice and readable) that perfectly fit’s the character mood …..so… when the biggest part is done, what we are going to see in the shot is already there, I just need to refine the animation: make everything fluid, polish the curves, adjust the spacing, offset some parts and add some details! BUT … if you just started to animate recently…you may have something more chaotic the first times! for example: the first movement is too slow, everything starts to move too soon so I want to keep the first pose for more frame. But I don’t want to freeze it, I just go to slow it down! after I worked on the timeline, I go to clean and adjust the curves in the graph editor, trying to smooth the motion. Now I will adjust the Moving Holds at the end of a movement, slowing down the spacing in the final part! To do that I add an in-between before the last key pose, with a value really close to the final one, so the animation stops more softly. If you reach the final position too fast and then you don’t keep a bit of motion (a great motion and suddenly a flat curve with no motion at all) the resault will be an abrupt stop and very mechanic motion. after the blocking I have all the keys on the same frames, so each part of the body reacts, starts to move and ends the motion at the same time, on the same frame with exactly the same timing! We need to add variation, ’cause each part would react in a different way and time! Then I add more Breakdowns: I add the blinks where needed or I simply adjust them, I animate the squash for the head and I check my arcs! I want to be sure that each movement follows a nice path: the arm, the head, the chest…you can use motion trail to visualize the paths of your movements and adjust them to create smooth and nice arcs! the software will displays a red line that is your path of action. Anytime we move the control (so we change the position), the trail changes. You can also turn on the handles to adjust the arc. In this example you can also see a motion trail displaying a figure 8 path, that is very used in animation, for example for the swing of the arms during a walk. Why arcs are so important? Most of the movement should create an arc in their path of action, this makes the animation more fluid and more realistic! BUT There some particular cases where straight paths are necessary so … always keep in mind the type of animation you are doing and make your decision based on that. In the in-betweens and breakdowns you can use deformers to adjust the shapes to better follow the arc. before the arms stops I added this little settle back and forth ‘cause the gesture is pretty fast and strong, so adding a simple slowing down at the end would take off a bit of power from the gesture, resulting too soft! I already have a smooth and slow movement before, when she moves the pencil while she thinks and stalling before make the question, so… it’s more interesting to break this rhythm adding a faster and stronger movement when she finish the question, also the contrast with the soft bended arm before and this straight rigid line at the end helps to emphasize the acting! An object reaches a forward position, then goes back and forth 1 or more times! If the object (or the character) is composed by different parts, they will stop at different time and different way to settle! Now I add a bit of movement to each part of the body, this because we should always move the entire body! A human body is composed by parts connected to each other and each part has an influence on the closest one! So even if with very subtle movements, in most of the cases we should consider that when we animate a part this should affect an other one. In my blocking I didn’t add any movement to the right arm, it’s totally freezed in position and also there’s no movement to the lower part of the body, the hip, ’cause this parts actually don’t do nothing, but they need to react anyway! Something soft, but enough to make it part of a body in motion, and not a separate object and also to add vitality to the entire animation! I check if there’s some compenetrations with props and environments or with the body itself! I check the eyes, the more important part to make a character alive, eyes are so important, the look have to be focused on something (unless the character is thinking to something, or…other particular cases where the eyes just stares off) I check the pupils position, when a look is on a side, keep attention to don’t put the pupil too inward, it’s unnatural, and we lose the characters life! So keep at least half of the pupils visible! I go to add all the little details at the end, like the offset of the prop, the pencil, that must has a bit of delay compared to the hand movement. I add the hair animation and….that’s it! This tutorial is connected to the Lesson 07 where I explain the principles of SQUASH and STRETCH! So for the second bounce we slow down the timing and the ball will bounce in 10 frames instead of 12. So we go at frame 23 and we put the ball in the air again, but this time we reduce the height of the bounce! To be more precise, look at the value on Y of the first bounce. and reduce it a bit: the first bounce is height 10 units, so let’s put the second one 3 units less compared to the first one, so… at 7 units. Then we put the other key, where the ball go down again, with the same amount of frame it use to go up, “10 frames”, so we go at frame 33 and we put the value of Y at zero. We do the same for other 5/6 bounces. Always decreasing in height and timing. Now we have all the bounces in LINEAR so we need to open the graph editor and polish the curves! In the graph editor we select the translation of the Y axis, and if you set the curves in AUTO TANGENTS or FLAT TANGENTS you can see that all the curves are smoothed, when the ball is in the air and also when it touches the ground. Can you see the difference…just changing the Spacing? Let’s now add the SQUASH and STRETCH! As I already said also the Squash and Stretch decrease at any bounces, so in the first bounce we have a visible squash and stretch..in the last bounces the ball doesn’t deform it’s volume anymore. And we do the same for 3/4 bounces, the deformation is each time smaller. Ok, now we can add the forward movement. So now the movement start fast and slow down at the end! We can adjust the rotation using the deformer. We select the deformer and we set a key on the rotation of the deformer on any bounce, in the contacts and in the highest positions. For all the bounces where we have the squash and stretch!